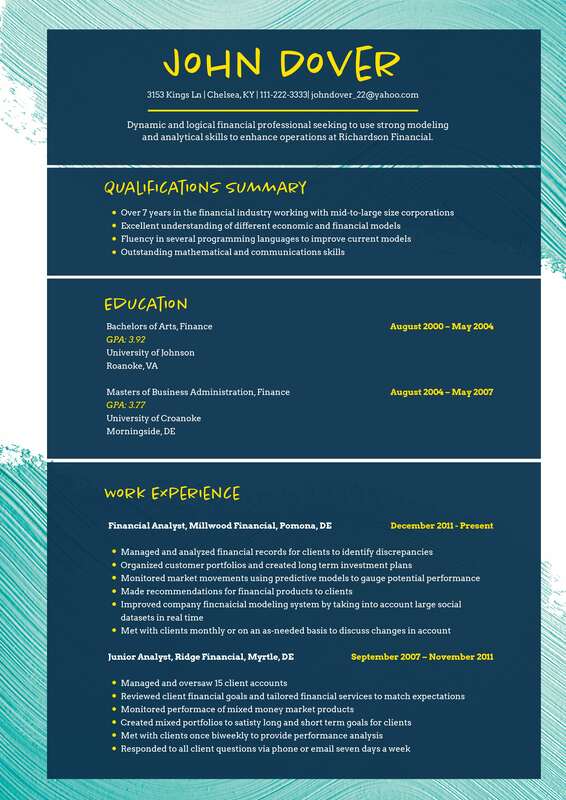 What is the best title resume? This might be your question if you are in the middle of accomplishing your resume for upcoming applications. For many, writing the resume titles is one of the most difficult things to do, thinking that this is the first section that potential employers see in job applications, and indeed, it is. Most HRs and hiring managers tell the best title is the one that is informative but doesn’t come across as an advertisement. It is also preferable that the title in no longer then 140 characters, like a Tweet. Check out the following tips to know when writing your titles as well as the seven best titles for resumes that will help to seize the attention of an employer. Use brand name when possible in your resume headline, especially if it is a top brand on the market. Some employers would want to know and see applicants with hands-on experience working with their competitors. Use strong words that can highlight your knowledge and skills at a glance. In the process, you can offer the potential employer timesavings for the fact that you are providing him with information he wants to know from the start. You can make use of strong phrases or verbs that can speak about you. Use keywords in your title resume making it more sellable and searchable. Right now, applications are not only done offline but also online. Therefore, you should make your job application highly optimized for search engines. In the process, you will be able to stand out from your competition by being more effective in gaining exposure for yourself and your application. Label your resume clearly, just like what you can see on newspaper headlines and blog titles. In the process, you will give a potential employer a quick glimpse of what you can bring to the table and offer the potential company with if ever they will hire you. For instance, you can see in the above examples about writing clear and specific headlines that employers want to know right off the bat in your title resume. Make purpose driven titles for resumes that will catch not only attention but will also hook into the emotion of the employer because your title is spot on with the job posting requirements. [Oh, this applicant seems to be the one I am looking for…]. There you have our tips on how to make your titles for resumes work. All you need to do is to consider and think of your best selling point from the beginning and turn it into your resume headline. You can follow the format of the above examples, or create your own. What’s most important is you title your resume with that single most important thing that the employer wants to know FIRST about you.